It’s been a few weeks months since I’ve written one of these. 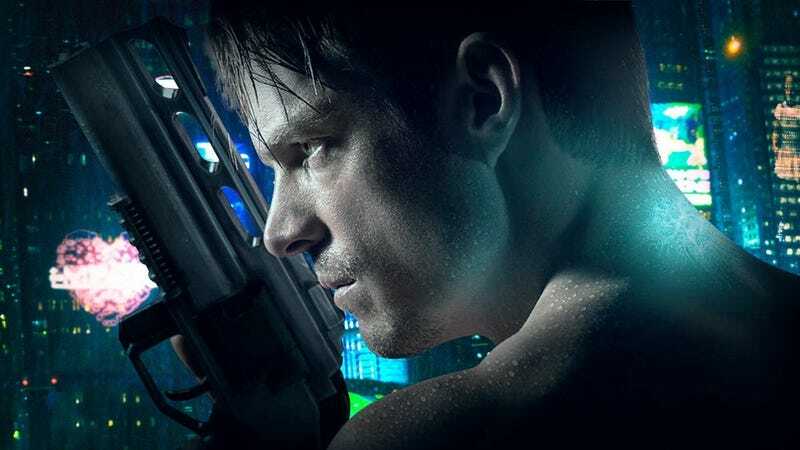 Partly it’s because I’ve been busy, partly because I’ve been watching reruns, and partly because I honestly hadn’t figured out what to write about Altered Carbon. I’m going to try. This has been the difficult part for me to put into words. Altered Carbon is definitely working on a “slow burn” for some parts—but is racing ahead in others. It’s sometimes difficult to figure out where it’s all going. That being said: From what I’ve seen in the first three episodes, the creators are trying to delve into the questions of identity, immortality, morality, and the concept of “self”. This isn’t a mindless action flick (not that there’s anything wrong with them, I happen to love some). The thing is: I’m not sure! Because of the way the story is being told, the real ideas probably won’t be revealed until the end. Which is fine—it just makes it a little hard to answer this question after only 3 episodes. The creators are also trying to tell the interwoven threads of the multiple stories in a way that gives them depth and breadth, while still containing them enough to remain coherent. And they’re trying to wrap all of this in a context that is both sufficiently distant, yet easily identifiable. Wealth depicted through simplicity is an excellent design choice. Quite well (though I reserve final judgement until after I finish the series). The characters walk a fine line between being “mysterious” (not yet fully-revealed) and “familiar”. It’s far too easy to slip into “cliche” on either end. The writers, actors, and directors, however, do an excellent job of keeping it all coherent. Kudos to all of them—along with the rest of the creative team. I’m taking my time working through the series—not because it’s difficult to watch, but because I want to take time to digest what I’ve seen and think about it. It’s a rare show these days that makes me want to sit down and think, so it’s fun. Anything with Dichen Lachman is worth doing. In a climate where so many shows are dropping anvils with force and regularity, it’s nice to see a show that takes a more subtle and hard-to-decipher approach. The social disparity between the powerful & wealthy and the average & poor. The problems with social prejudice—in all directions. These are all topics that should be talked about—and talked about in a way that doesn’t automatically assume (or insist) that one viewpoint is (of course!) correct, and the other “evil”. One of the most important aspects of Altered Carbon is that it doesn’t appear to be advocating for any “side”. It’s presenting situations, asking questions, and expecting the viewers—us—to debate the issues in an intelligent and respectful way. Even though the first 3 episodes reveal almost nothing about anything, they still present a setting, story, and characters that are worth watching.